We’re here to make this the most stress-free, easy sale ever. All of our services are completely free of charge. We purchase As-Is; no costly repairs! We purchase tenant occupied property. Receive an offer within 1 business day. We’re based in Thousand Oaks! 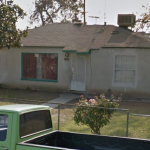 We buy houses in Thousand Oaks in any condition as-is. Close in as fast as 7 business days. All we really need are the basics. After we hear from you, we’ll get right to work on your offer. Your offer should take 1 business day or less. If the offer sounds good to you, Great! If you’re like most, you probably don’t want to spend tons of money fixing a place up, dealing with contractors, and long timelines! Besides, it’s really hard to know if all that work you did will actually pay off! It’s a big risk! No matter your situation, timeframe or condition, we’re here to help. We don’t care how outdated the property is or how much it needs it work! We’ll purchase it and make sure you have a smooth and easy process! Quick Home Offers works differently by learning about you, your needs, and your unique situation, then we craft an offer around those elements. We understand that every situation might not be the same, which is why we treat every client’s situation differently. We’ve put together a quick guide to assess if we’re the right solution for you. Pros: You don’t have t0 market the property yourself. You also have someone else handling most of the paperwork for you. Additionally, you will usually get close to full market value. Timeline: You should expect t sell the property in about 3 – 12 months, depending on the market. Selling FSBO takes work and time, but can save you some money. If you’re not in a rush, are familiar with the process of selling real estate, and your house is in great shape this might be a good choice for you. If your selling your house to a retail buyer, expect that people will be nit picky about your house, especially in Thousand Oaks (people tend to have more options here). If your property is in need of some work, you need to sell quickly, or just want an easy transaction selling to a “we buy houses in Thousand Oaks as-is” company is the way to go. Selling to a cash buyer is by far the easiest way to sell a property. Cash buyers are experienced, and can usually close quickly, without inspections and appraisals. Additionally, cash house buyers are not like retail buyers. Retail buyers are pickier, and require inspections, appraisals (sometimes 2 appraisals) and more time. Important to note that cash house buyers rarely can pay full market value for your property. Pros: Selling to a “we buy houses in Thousand Oaks” company can get you a faster close using cash. No waiting on banks. Less inspections and no appraisals. No back end fees, and sell “as-is” without putting one penny into fixing the place up. How would you like to sell your Thousand Oaks property As-Is without any stress? If you’d like to sell your Thousand Oaks house as-is without going thru all the hoops and hassles, we’re here to help! Check out our process here. How are we different from any other “we buy houses in Thousand Oaks as-is” companies? For one, we take time to hear about your specific needs, timelines, etc… and craft an offer around those elements. A lot of the cash house buyers in Thousand Oaks might offer you one lowball offer in a take-it-or-leave-it scenario. We operate differently by tailor making each offer to you, and by making sure we provide exceptional service to give you the easiest selling experience possible. We buy houses in Thousand Oaks Quick Home Offers is a cash house buyer in Thousand Oaks, CA. We also buy in many other places such as Ventura County, Los Angeles County, Inland Empire, Fresno, Bay Area, Central Valley and more! There are never any obligations to accept an offer! There are no commissions, and no closing costs paid by you! It really is the easiest way to sell. Period! If you’re looking to sell your house cash as is the easy way, simply request an offer!